It’s time to update your iOS devices, because iOS 11.1 is here. On Tuesday, Apple pushed iOS 11.1 out of beta and made it available to the masses, ushering in a slew of improvements as well as some new features. This is the first major iOS 11 update. The most notable addition is a large crop of new emoji—more than 70 new characters—including new food (pie! Chinese takeout boxes! ), creatures (mermaids! Fairies! Vampires! ), expressions (sillier faces! ), animals (giraffes! Hedgehogs! Dinosaurs! ), and more. 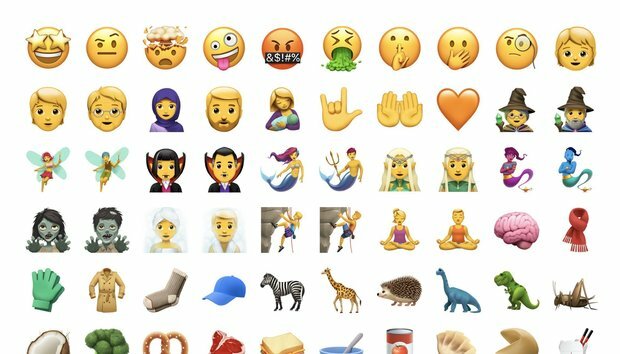 You’ll need iOS 11.1 to both send and receive these new emoji—otherwise, you’ll just see a generic empty box. Another noteworthy change is the return of the 3D Touch app-switcher multitasking gesture. With this gesture, you apply pressure to the left-hand side of the iPhone’s display to trigger 3D Touch, and then swipe from left to right to swap between two apps. It briefly went away when iOS 11 was first released, presumably so that Apple could tweak it before the iPhone X comes out. (This gesture will be slightly different on the iPhone X.) You can use it on any iPhone with 3D Touch capabilities, which is the iPhone 6s and newer. Adds back support for accessing the app switcher by pressing on edge of display with 3D Touch. Fixes an issue in enterprise environments that prevented data from being moved between managed apps. To get the update, head on over to Settings > General > Software Update to install the update over the air (we highly suggest doing so over Wi-Fi and while your iOS device is connected to a power source). Or, connect your device to your computer and install it manually via iTunes. However you slice it, it’s a good idea to backup your device first, just in case.